Mmmmm, BBQ pizza. This is how we do it at the Fierro household. Fire up the BBQ, get a bit creative and nourish the soul. What's for dinner? Last night we made bbq pizza with a small side spinach salad, and what else? 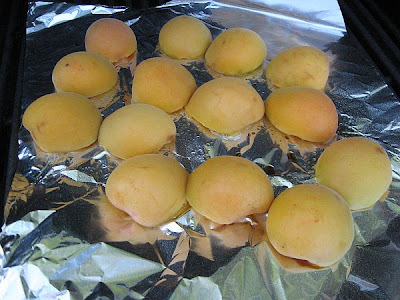 BBQ apricots for desert. We get the dough from A Slice of New York, really, it's the best dough around. 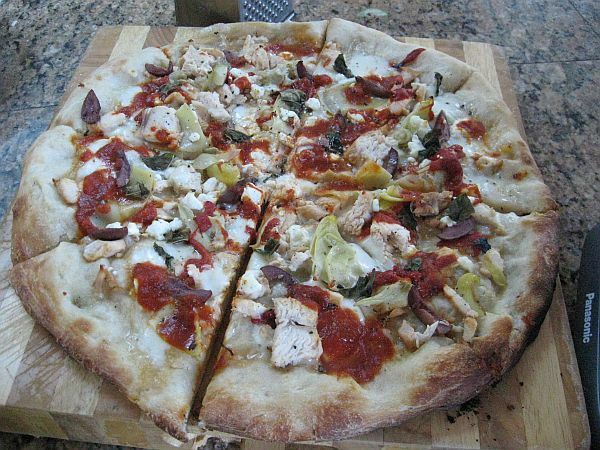 Shape the dough on a pizza pan, add the topping and bbq on high for approx 8 minutes. The apricots grilled for just a tad longer than I meant to have them cook, but oh, so, yummy! Just lightly brush a piece of tin foil with oil to prevent the apricots from sticking. Split in half and take out the pit. Put on the bbq for about 10 minutes. 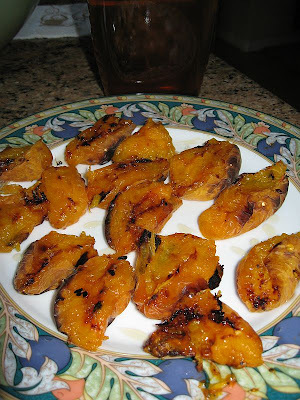 The fructose in the apricots caramelizes and adds such a significant flavor to the fruit. 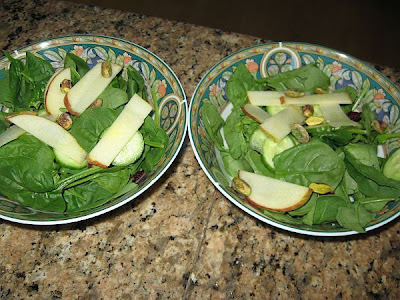 Then we lightly drizzle with honey and serve. Yum, enjoy! Grill that thing right on the grill - no pan. Just brush it with lots of olive oil...cook the first side, flip it and move it off to the side while you put the topping on, then back onto the grill, covered for a couple of minutes.